The latest concept for British Airways lounges by Davies/Baron is known as 'Galleries'. While my involvement was less than on previous lounge concepts, working with architects YRM early in the project, I produced block-plan layouts for all the new LHR, Terminal 5 lounges, establishing the likely areas required to house the predicted passenger numbers and suggesting where all the various lounge facilities might be located. At a later stage, I assisted with the rationalisation of the loose furniture and fittings layouts and the allocation of fabrics. I produced final purchasing schedules of all fixtures, fittings, furniture and fabrics, for use by the procurement contractors. 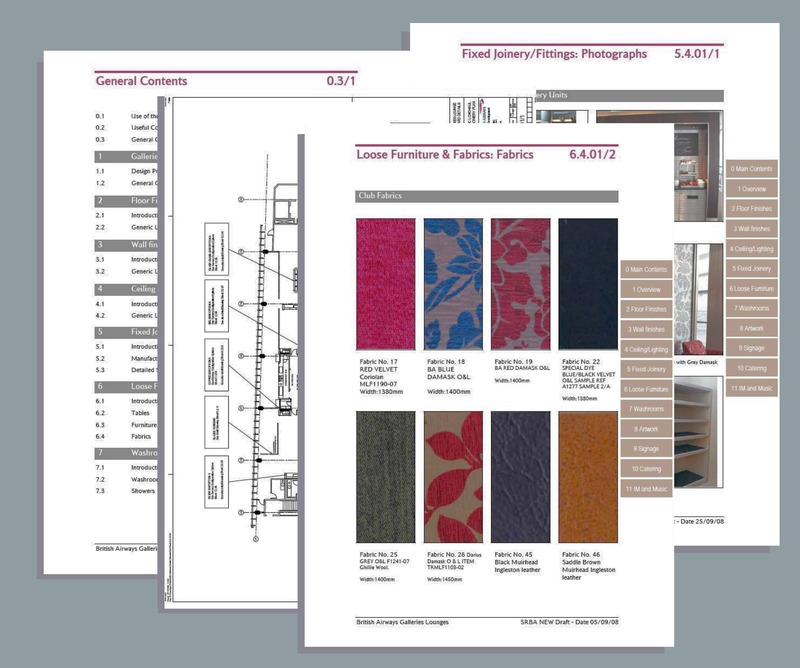 I was then asked to produce the 'Galleries Design Specification Manual' and some typical page extracts are shown (left). The first 'Galleries' lounge to be located in Europe was in Munich and I was commissioned as the project designer. 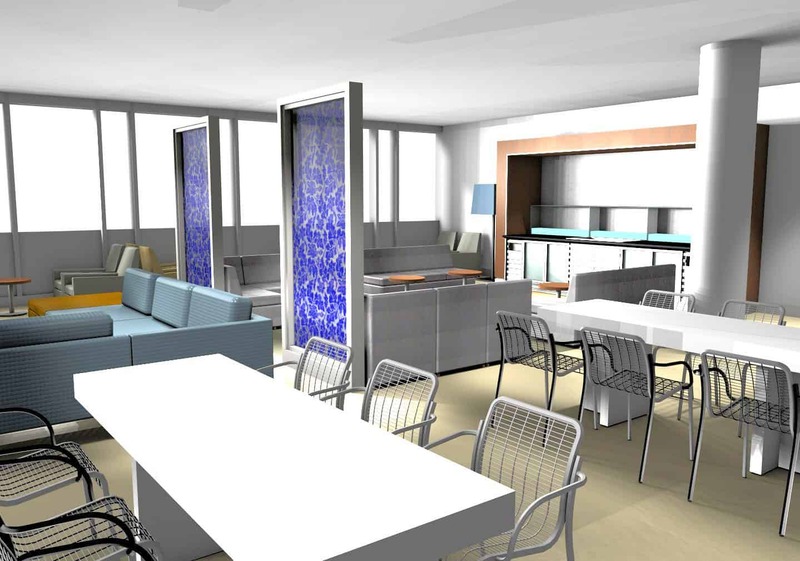 The CAD generated image (above), shows a typical view of the lounge. I also designed the Milan and Glasgow Galleries lounges. Unfortunately, when the Glasgow construction contract was about to be placed, the USA sub-prime crap hit the fan!